Vi använder cookiefiler för att ge dig bästa möjliga upplevelse på vår webbplats. Den 28 maj 2018 publicerade vi reviderade versioner av OMRONs sekretesspolicy och cookiepolicy. Läs de uppdaterade villkoren genom att klicka här. Din användning av våra produkter och tjänster omfattas av dessa reviderade villkor. Genom att besöka vår webbplats godkänner du automatiskt vår användning av permanenta cookiefiler, sessionscookiefiler och analyscookiefiler. Vi använder även spårningscookiefiler för att samla information om dina aktiviteter och ditt beteende på vår webbplats. På så sätt kan vi anpassa webbplatsens innehåll efter dina intressen. Du kan välja att slippa spårningscookiefiler genom att avmarkera det alternativet nedan. Vi har tekniska problem. Din formulär har inte varit framgångsrik. Vi ber om ursäkt och försök igen senare. 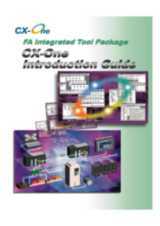 CX-One software allows users to build, configure and program a host of devices such as PLCs, HMIs and motion-control systems and networks using just one software package with one installation and license number. This greatly reduces the complexity of the configuration and allows automation systems to be programmed or configured with minimal training. Create advanced programs using data blocks of identical data types (Arrays), or different data types (Structures). Member symbols of the new User Defined Type can be simply accessed from the program. Symbol creation becomes quicker as memory allocation and management is automatic, and you can easily monitor all member symbols in the Watch Window just by using their name. Using Structures and Arrays as In / Out variables for a Function Block, provides simple passing of many parameters in a uniform layout. This uniformity and clear data hierarchy can help program readability during development and maintenance. For the most complex program data, even nested structures, arrays of structures and structures with array elements are supported. Special data types for TIMER (count-down) and COUNTER (count-up) symbols greatly simplify the use of timers/counters in ladder programs as rungs, to reset and check them you can simply access them by using their name. When used with the Auto Allocation feature, you can define a symbol of type TIMER or COUNTER and never have to worry about where it is stored. That means zero maintenance to resolve addresses when a program grows or rungs are copied to a new project. Arrays of timers and counters are also supported. A new smarter way to input programs with less key presses, resulting in quicker programming. Intuitive windows, symbol browsing and tool tip help mean less mistakes and typos need to be fixed during commissioning. When typing instructions or symbol names a ‘predictive-text’ style browser shows you possible matches which can be easily clicked or selected. Symbol addresses for the next Input and Output are auto incremented to speed up new program creation, and a special Copy/Paste function allows quick duplication with sequential addresses. No need for any manual drawing of rung connections as this is filled in automatically – even for more complex operations like parallel contacts (OR) or Function Block invocations. This all makes programming smarter, quicker and more intuitive. EtherNetIP setup wizard makes it quick and easy to setup network symbols for controller to controller data links by importing tags from CX-Programmer. CX-Programmer provides one common PLC software platform for all types of Omron PLC controllers - from micro PLC's up to Duplex processor systems. It allows easy conversion and re-use of PLC code between different PLC types, and the full re-use of control programs created by older generation PLC programming software. A debugging environment equivalent to the actual PLC system environment can be achieved by simulating the operation of a CS/CJ Series PLC with a virtual PLC in the computer. 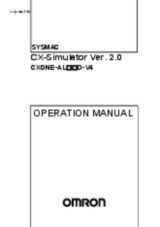 CX-Simulator makes it possible to evaluate program operation, check the cycle time and reduce debugging time before the actual equipment is assembled. 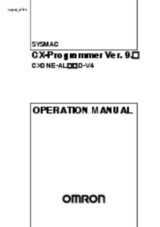 CX-Designer is used to create screen data for NS-series Programmable Terminals. CX-Designer can also check the operation of the created screen data on the computer. CX-Designer enables efficient development process for screen creation, simulation and project deployment. Users can develop screens more efficiently with Easy-to-use Support Software. CX-Designer has about 1,000 standard functional objects with associated graphics and advanced functions, so even first-time users can create screens easily just by arranging functional objects in a screen. 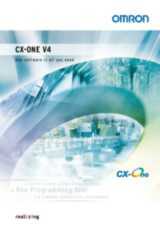 CX-Integrator is the main configuration software for CX-One. It enables easy performance of many operations, such as monitoring the connection status of various networks, setting parameters, and diagnosing networks. Based on FDT/DTM technology, CX-ConfiguratorFDT can be used to configure devices from any vendor connected to a PROFIBUS network. This concept will later be expanded to support many more networks using this technology. 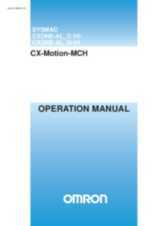 CX-Motion can be used to create, edit, and print the various parameters, position data, and motion control programs (G code) required to operate Motion Controllers, transfer the data to the Motion Control units, and monitor operation of the Motion Control units. Increase productivity in every step of the motion control process, from development of the motion control program to system operation. The complete current range of Omron Yaskawa inverters and servos is covered in this software with full access to all parameters (with 3 different operator levels available). An easy overview of parameters is also included which includes filters to show values that are: different from default, different from inverter, invalid setting. Graphical overviews are available to further assist with configuration of some more detailed parameters such as jump frequencies, v/f profiles and analog setting. CX-Position simplifies every aspect of position control, from creating/editing the data used in Position Control units (NC units) to communicating online and monitoring operation. The software is equipped with functions that can improve productivity, such as automatically generating project data and reusing existing data. 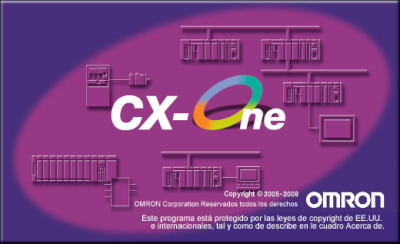 Omron’s CX-Thermo support software has been specially developed for use with the company’s E5CN, E5EN, E5GN, E5AN, E5CN-H, E5EN-H, E5AN-H, E5ZN, E5AR, E5ER and CelciuXº temperature controllers. 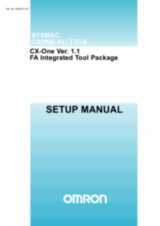 CX-Thermo enables faster parameter set-up, easier device adjustment and simpler maintenance. It dramatically reduces the time and effort needed to set and manage temperature control parameters. CX-Process simplifies every aspect of loop control, from creating/transferring function blocks to running the Boards/units and debugging (tuning PID parameters, etc.) operation. Function block programs can be created easily by pasting function blocks in the window and making software connections with the mouse. CX-Sensor allows configuration and monitoring of Omron's ZX range of sensors via a series of easy to use displays. 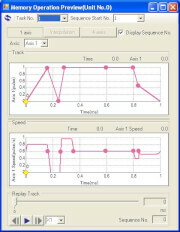 The graphing dialog allows the outputs from several sensors to be reviewed and compared simultaneously, allowing configuration of complex processes. 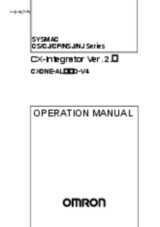 The software also includes a driver that allows sensor data to be accessed via an Omron serial control unit (SCU) and from other Omron applications such as CX-Supervisor. With the aid of Omron's CX-Server OPC application it is even possible to monitor sensor data in real time from Microsoft Excel. CX-Designer is the HMI software used for our 5.7 to 15 inch NS HMI series. 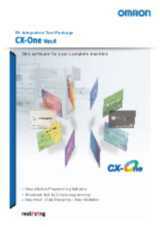 CX-Integrator is the network configuration software for CX-One. It provides easy monitoring the connection status of DeviceNet, Ethernet and CompoNet networks, configuration of fieldbus controllers, setting device parameters, and diagnosing networks. Create, edit, and print the various parameters, position data, and motion control programs (G code), monitor operation of the Motion Control Units. Reduce the complexity of advanced motion control, create powerful motion solutions quickly using this integrated configuration and programming software for Mechatrolink II based systems. Reduce the complexity of advanced motion control, create motion solutions quickly using this integrated configuration software for Mechatrolink II based systems. CX-motion Pro offers an easy and intuitive software environment, helping to program and debug your applications using advanced tools to help you to save time. The software support existing devices, the new PLC version and future developments. The CX-Position software simplifies every aspect of position control, from creating/editing the data used in Position Control Units (NC Units) to communicating online and monitoring operation. CX-Process enables the users to program, configure, commission and monitor hybrid control systems using graphical tools for building function block diagrams, connection maps in addition to ladder programs and sequence tables for sequential operations. Commissioning can be performed with simple pre-built HMI screens which allow monitoring of key parameters during this phase . Tag sharing allows easy connection to SCADA HMIs. 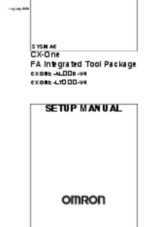 CX-Programmer, the programming software for all Omron's PLC series, is fully integrated into the CX-One software suite. 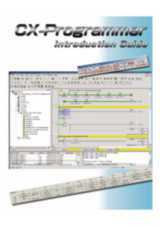 CX-Programmer includes a wide variety of features to speed up the development of your PLC program. 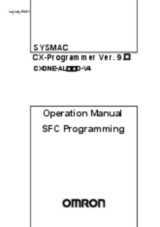 New parameter-setting dialogues reduce setup time, and with standard function blocks in IEC 61131-3 structured text or conventional ladder language, CX-Programmer makes development of PLC programs a simple drag &amp; drop configuration. 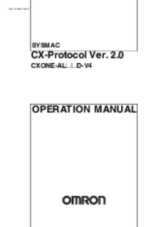 CX-Protocol creates data communications procedures (protocol macros) to exchange data between standard serial devices and the PLC (Serial Communication Unit or Board). A debugging environment equivalent to the actual PLC system environment can be achieved by simulating the operation of a CS/CJ series PLC with a virtual PLC in the computer. Network Configurator for EtherNetIP is software used to graphically build, set, and manage EtherNet/IP networks. Virtual networks can be created with devices set and monitored using the Network Window in the Network Configurator. I det här avsnittet på vår webbplats kan du registrera dina Omron-programvaruprodukter. När du registrerat ditt licensnummer har du åtkomst till relaterade uppgraderings- och supportfiler. Efter det här avsnittet kan flera program och verktyg laddas ned kostnadsfritt. Våra tekniker hjälper dig att välja rätt produkt för din applikation, att komma igång med de produkter du köpt eller att hantera olika projektlösningar. Tack vare vår On-Line support "myOMRON" kan vi även erbjuda teknisk support dygnet runt, året runt. Välj själv hur du vill komma i kontakt med oss. Copyright © Omron Corporation 2019. Med ensamrätt.